PEEK supplier Victrex is building a major Polymer Innovation Center in northern England. 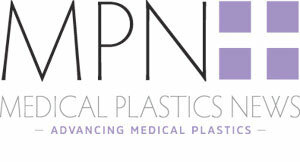 Financial assistance for the project has come in the form of $2 million in grant funding from the UK government’s Regional Growth Fund, subject to satisfactory due diligence, which recognises the vital, rapidly accelerating importance of high performance polymers in the global marketplace. High performance polymers based on PAEK, including Victrex PEEK, are increasingly being sought out for this and other demanding applications in industry sectors that include consumer electronics, automotive, energy, and medical. The project is expected to help in the creation of over 80 direct and indirect jobs over the next 10 years and could ultimately see a total $24.6 million investment. “This boost from the UK government's Regional Growth Fund is great news for Victrex, in enabling our company to continue pioneering the market for high performance polymers well into the future," said David Hummel, Chief Executive of Victrex. "As a global world leader and major UK exporter, our past success and our future prosperity is founded on technical excellence and a world-class manufacturing capability. While we are already a global champion, having the right technical skills is key to continued innovation for our customers across the globe."